CoNet heeft sinds kort een bedrijfslidmaatschap voor ISA Nederland. CoNet voegt zich hiermee bij de groep bedrijven die zich onderscheiden door het gebruik van professionele industriestandaarden te steunen en dit actief uit te dragen. Het bestuur van ISA Nederland heet CoNet van harte welkom. ISA Netherlands Section can look back on participation in the World of Technology & Science (WoTS) with satisfaction. The WoTS took place from the 2nd to the 5th of October in Jaarbeurs Utrecht. In those four days, more than 21,000 people visited the WoTS. The WoTS exhibition served as a meeting point for professionals in industry and science, and attendees could also follow different seminars. Exhibitors had the opportunity to profile the company they represent and their discipline. A Spanish ISA delegation from Centro San Juan Bosco, Cartagena, visited the faculty of IT & Design of The Hague University. The Spanish delegation was given a tour by ISA Netherlands Section’ Education Chair Mr. Sjaak Peski, around the Delft campus of IT & Design. They visited a number of different classrooms on the campus where they learned about the educational system and looked at several projects from students. On Wednesday 23rd of May, ISA Netherlands Section organized the 1st College Tour session for 2018. The College Tour is running successfully since 2016. During the course of the tour several events will be organized at various educational institutions in The Netherlands. Pro-Fa Automation heeft sinds kort een bedrijfslidmaatschap voor ISA Nederland. Pro-Fa Automation voegt zich hiermee bij de groep bedrijven die zich onderscheiden door het gebruik van professionele industriestandaarden te steunen en dit actief uit te dragen. Het bestuur van ISA Nederland heet Pro-Fa Automation van harte welkom. On Tuesday 7th of November, ISA Netherlands Section organized the 2nd college tour for this year. During the course of the college tour several theme events will be organized at various educational institutions in The Netherlands. 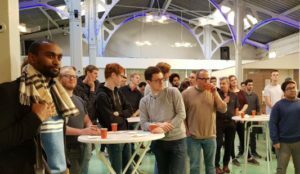 The 2nd college tour theme session was hosted at The BetaFactory for the members of ISA Netherlands Section and other interested professionals. The participants were welcomed in The BetaFactory, with coffee and tea. After a short welcoming introduction by Ruud Timmermans, ISA Netherlands Section Treasurer, he gave an overview of the agenda and introduced the speakers and the host of the event. The host Marcel van Wijk gave a introduction of the location BetaFactory and it’s possibilities. There were speakers on three topics: Alarm Management, Cyber Security and Drone Applications. There appear to be regular misunderstandings and ambiguities about the ISA organization and the flow of money (read: membership fees, sponsoring, training) within the organization. With this explanation, ISA Netherlands Section wants to clarify the differences between the ISA Netherlands Section and ISA Europe (a.k.a. ISA European Office). Op dinsdag 7 november a.s. wordt er weer een thema-bijeenkomst georganiseerd in het kader van de in 2017 ingezette college-tour. Ditmaal vindt de bijeenkomst plaats in een unieke locatie, t.w. de BETAFACTORY in Delft. 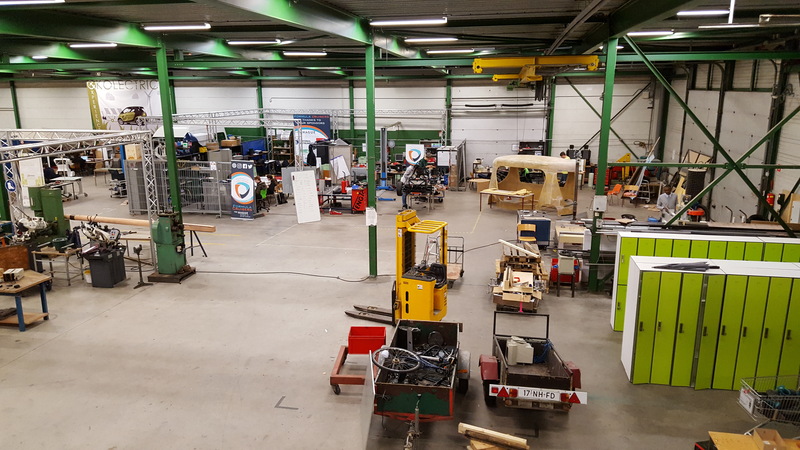 De Betafactory speelt een grote rol in de opzet en uitvoering van Learning Labs. Daar waar Betafactory Werkplaats de projectbouwomgeving biedt, wordt er door de Betafactory initiatief genomen om vraag en aanbod vanuit het onderwijs en bedrijfsleven bij elkaar te brengen en om de benodigde faciliteiten te ontwikkelen. Als netwerkorganisatie is het de Betafactory een spil hierin. 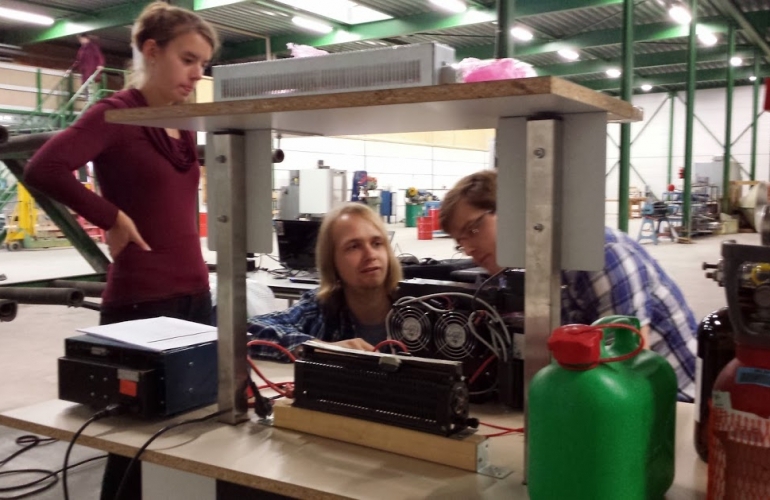 Door de jarenlange ervaringen in het uitvoeren van multidisciplinaire uitdagende projecten is er veel expertise op het gebied van begeleiding en uitvoering. Yokogawa heeft sinds kort een bedrijfslidmaatschap voor ISA Nederland. Yokogawa voegt zich hiermee bij de groep bedrijven die zich onderscheiden door het gebruik van professionele industriestandaarden te steunen en dit actief uit te dragen. Het bestuur van ISA Nederland heet Yokogawa van harte welkom. 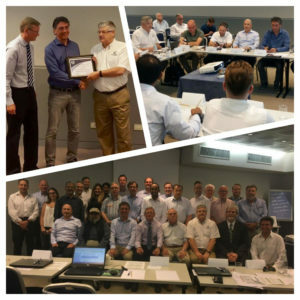 On July 7 & 8, the District 12 District Leader Conference was held in Milan, Italy. During this event, District Leaders and Section Boards from ten District 12 countries gathered to discuss best practices and experiences of the various D12 Sections and the further development of the various Sections. 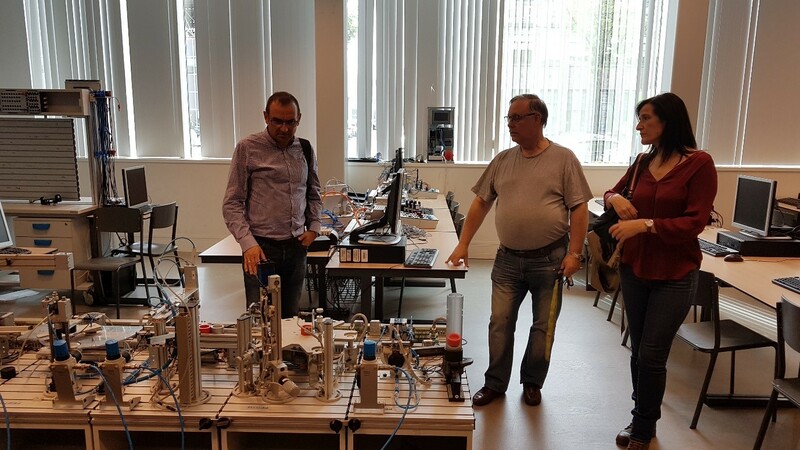 DWG Automation BV heeft sinds kort een bedrijfslidmaatschap voor ISA Nederland. DWG Automation BV voegt zich hiermee bij de groep bedrijven die zich onderscheiden door het gebruik van professionele industriestandaarden te steunen en dit actief uit te dragen. 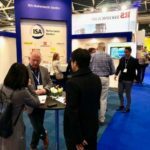 Het bestuur van ISA Nederland heet DWG Automation BV van harte welkom. Recently, the ISA Netherlands Section management team has strengthened its board with two new board members: Sjaak van Peski and Angel Schneidernerg. Mr. Peski is a lecturer at The Hague University and responsible for the Educational Chair. Mr. Schneiderberg is a sales manager for POWARE Industrial Automation and responsible for the Publications Chair. 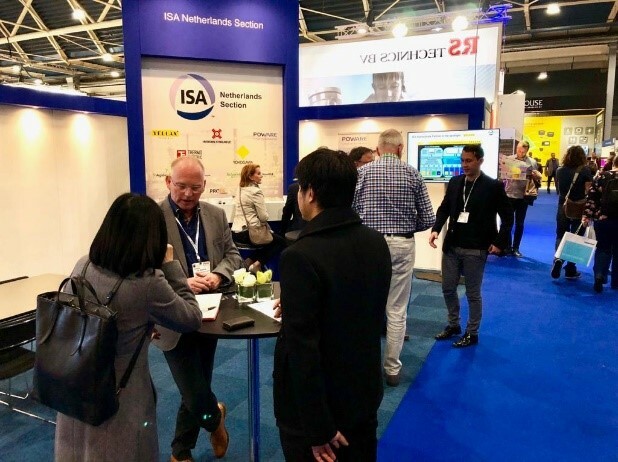 With this expansion, ISA Netherlands Section has significantly improved the reflection of the market within the board. Both new board members have extensive experience in industrial automation, each in their own discipline. The board of ISA Netherlands Section welcomes both new board members and wishes them good luck in their new positions. Here you can find more information about the board. On Thursday 30th of March, ISA Netherlands Section kicked off the college tour that it organized this year. During the course of the college tour several theme evenings will be organized at various educational institutions in The Netherlands. 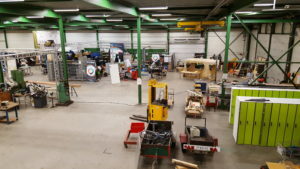 With the college tour ISA Netherlands Section aims to connect students and companies with each other. 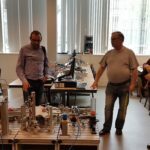 The first theme evening was hosted by Actemium Veghel Edulab for the members of ISA Netherlands Section and other interested professionals. 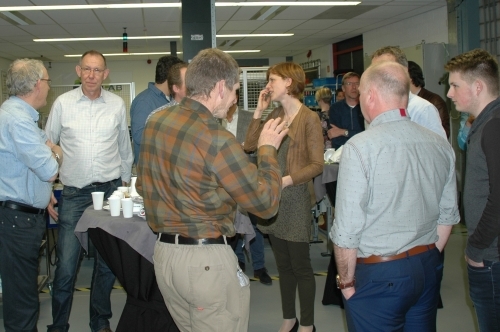 The participants were welcomed in the Edulab, with sandwiches and soup, offered by the host for the evening, and sponsor of ISA Netherlands Section, Actemium. This way, everyone could enjoy a satisfied start of the theme evening.